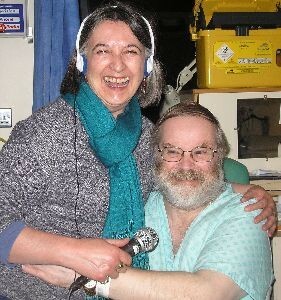 For many years, the team behind Winchester Radio have run the hospital radio service at the Royal Hampshire County Hospital. Previously as Winchester Hospital Radio (WHR), and now as Winchester Radio, we have been providing a completely volunteer-run service for over 30 years. In fact, our history goes back even further – all the way back to 1968, when the first hospital radio service was provided at the RHCH from studios in Southampton. 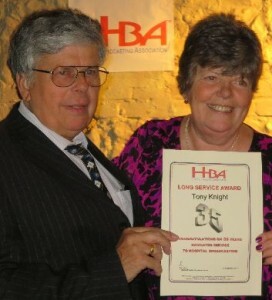 Volunteer Tony receives his 35 years long service award from June Snowden, President of the Hospital Broadcasting Association. 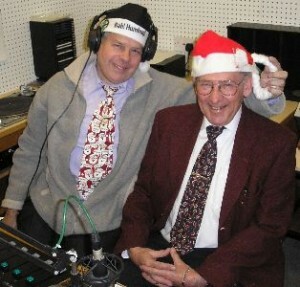 Volunteers Tony and Peter in the studio on Christmas Day. 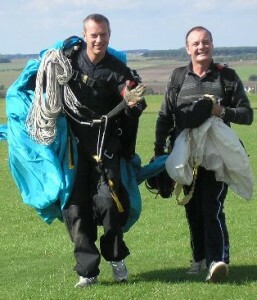 Volunteer Barrie having just completed his sponsored parachute jump. 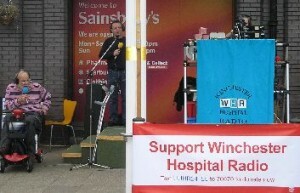 A fundraising outside broadcast from Sainsbury’s, Badger Farm. The four Trustees of Winchester Radio (Paul Blitz, Nigel Dallard, Ian Kemp and Anna O’Brien) have over 80 years’ experience of managing a hospital radio station. Many of our volunteers have over 10 years’ voluntary service, some have over 30 years’ service. Anna O’Brien collects the National Hospital Radio Award. Volunteer Heather with patient Kevin. Volunteer Paul chatting with patient Ray on Bartlett ward. 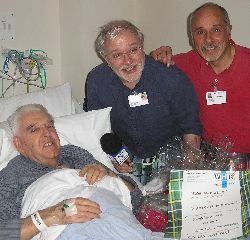 Volunteers Paul & Ron with a patient during our Burn’s Night special. 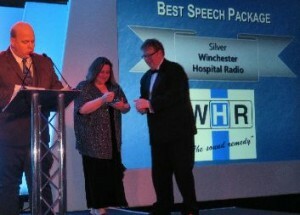 When not out-and-about in the city, the Winchester Radio team are to be found on the hospital wards talking to patients, or fundraising to keep the service on air – other than free accommodation and utilities, we receive no ongoing financial support from the NHS or other statutory bodies. The management of the hospital are fully-supportive of our application for a community radio licence, and will continue to provide us with free studio accommodation if we are successful. 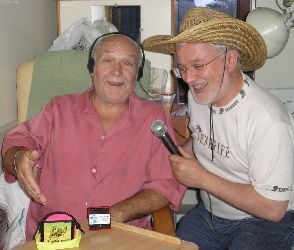 Those who are unfortunate enough to find themselves in hospital are just as much a part of the community of Winchester as anyone else, and will be able to listen to Winchester Radio through their bedside entertainment system, and via their mobile phone/tablet using the free hospital wi-fi, irrespective of our success in applying for a community radio licence.